Botanical Name: Apocynum venetum L.
Part Used & Method for Pharmaceutical Preparations: The leaves or whole plant are gathered in summer, dried in the sun and then cut into pieces. Properties & Taste: Tasteless, astringent and slightly cold. 1. Hyperactivity of liver yang manifested as headache, vertigo, dizziness, irritability and insomnia. 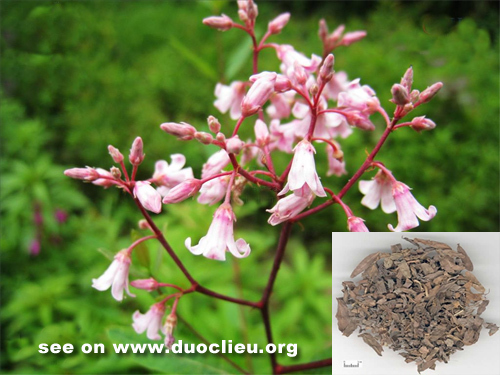 Dogbane (Luobuma) is used with Prunella spike (Xiakucao), Uncaria stem (Gouteng) and Chrysanthemum flower (Juhua). Also, Dogbane (Luobuma) can be used alone to make tea. 2. Dysuria and edema. Dogbane (Luobuma) can be used alone or with other herbs to promote urination.